With all the recent attacks on women's health care, it's great to see something positive. 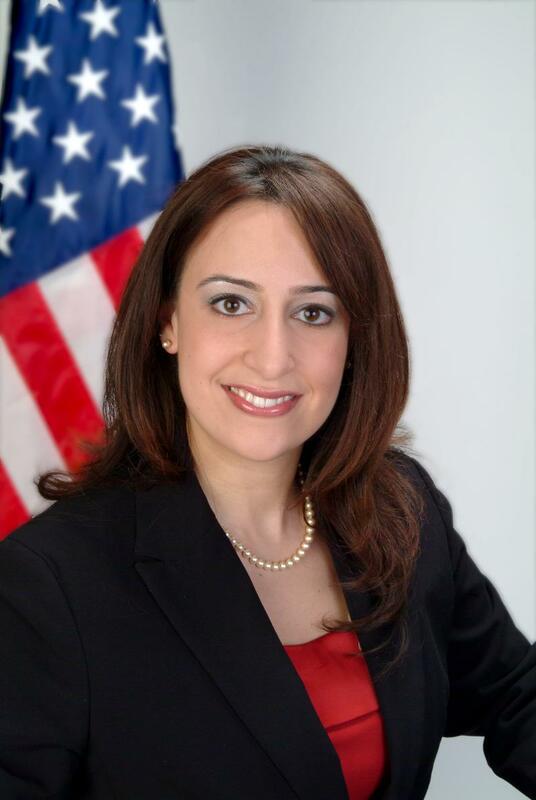 State Rep. Maria A. "Toni" Berrios (D-Chicago) and the 39th District Health Committee announced that the 6th Annual Women's Wellness and Resource Fair will be hosted on April 20th from 10 a.m. to 2 p.m. at the Kosciuszko Park located at 2732 N. Avers Ave., Chicago, IL. The event is free and open to the public. "As a woman legislator one of my top priorities are women's issues, specifically topics regarding women's health. I've hosted this event for six years now and helped hundreds of local residents, connecting them to local clinics and hospitals and ultimately helping them find good healthcare" stated Rep. Berrios. "The purpose of this fair is and will continue to be to address a woman's physical, mental, and emotional health" stated Rep. Berrios. The Women's Wellness and Resource Fair will provide information and resources on a variety of social programs and services available to women. Attendees will have the opportunity to receive free blood pressure, diabetes and cholesterol screenings along with information on accessing state, county and city health programs. Participants will learn health information from over sixty organizations and have the opportunity to win gift certificates and gift cards to local stores and restaurants. This year the Women's Health fair will host a Pin-a-Sister/Examinate Comadre ceremony. This ceremony is done in conjunction with Access Community Health Network to promote, educate and improve Breast Cancer Awareness. Attendees will hear a survivors' true life story of her fight with Breast Cancer and will then be asked to pin another attendee to signify their commitment to Breast Cancer Awareness. 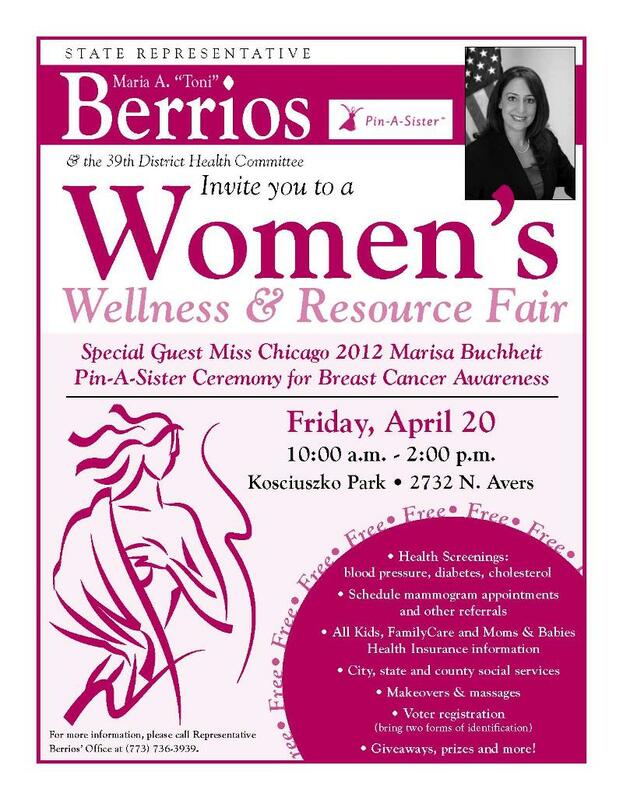 Also for the first time ever, the 2012 winner of Miss Chicago, Marisa Buchheit will be joining the push for women's health awareness at the Women's Wellness and Resource Fair. For more information, please call Berrios' constituent service office at (773) 736-3939.